IssueLab: Open For Good is Doing Great! In July 2017, Foundation Center launched Open For Good — a movement to encourage foundations to openly share their knowledge. When we are #OpenForGood, we all learn from each other — and that can make incredible things happen. Each year, foundations make more than $5 billion in grants toward knowledge production, including assessments, evaluations, reports, case studies, and issue briefs. These are invaluable records of what we as a sector are learning. Yet only a small fraction of foundations consistently share these products and far fewer use open licenses or open repositories, like IssueLab, to openly share what they are learning. While foundation spending on knowledge production will most certainly continue in 2018, we are seeing signs of change when it comes to foundations being more intentionally open about these knowledge assets — both in talking about them and in sharing them. Since last summer, IssueLab’s two special collections that are dedicated to impact evaluation — Find Results (which focuses on sharing actual evaluations) and Measure Results (which provides “how to” insights into doing evaluation) — have grown quite a bit thanks to people suggesting additions and also rolling up their sleeves to add their own materials! 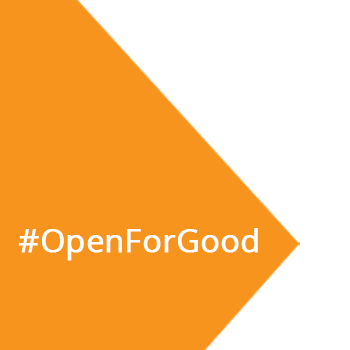 #OpenForGood is also about sharing the social sector’s voices on this important issue. Through our Glasspockets blog series we have been featuring the voices of “knowledge sharing champions” from across the field, exploring new tools, practices, and examples showing how foundations are opening up about what they are learning and sharing that knowledge for the benefit of the philanthropic sector, and for the greater good. If you haven’t checked out the blog lately take a look — a lot has been posted since the series kick-off. Even more is in store for 2018. Stay tuned as we complete work on our soon to be released GrantCraft guide dedicated to helping your organization to be a more open one. From IssueLab’s side of the fence, the call to action remains the same in 2018: share your evaluations so we can ALL learn from them — because what you know shouldn’t depend on who you know.